Blu - Rio  Cartoon desktop wallpaper, Rio wallpaper, Cartoon wallpaper - Cartoons no. 5262. 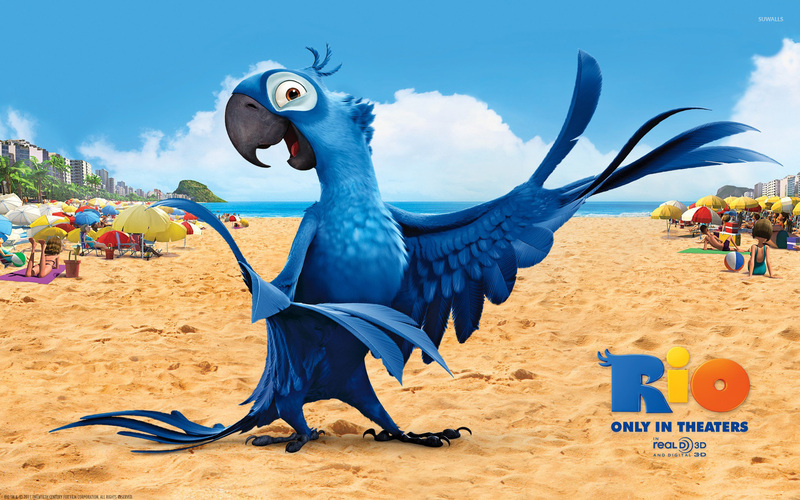 Download this Blu - Rio  Rio desktop wallpaper in multiple resolutions for free. Rio, often promoted as Rio: The Movie, is a 2011 American 3D computer-animated musical comedy film produced by Blue Sky Studios and directed by Carlos Saldanha. The title refers to the Brazilian city of Rio de Janeiro, in which the film is set. The film features the voices of Jesse Eisenberg, Anne Hathaway, George Lopez, Jemaine Clement and Jake T. Austin. 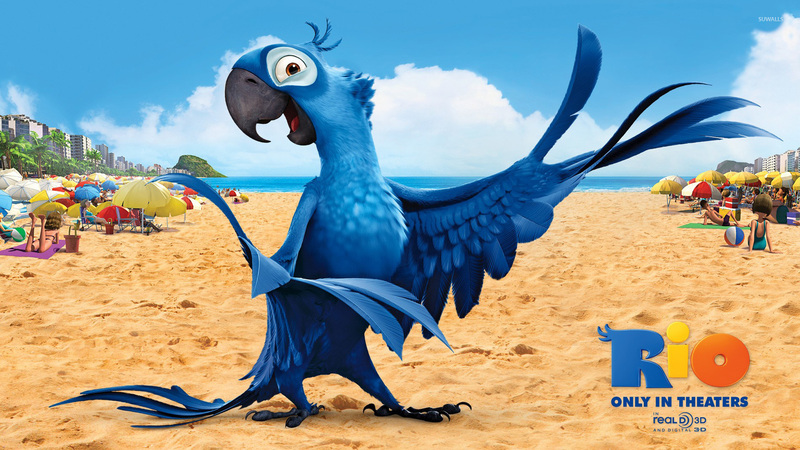 The film tells the story of Blu (Eisenberg), a blue macaw who is taken to Rio de Janeiro to mate with a female. He eventually falls in love with Jewel (Hathaway), a free spirited macaw, and together they have to escape from being smuggled by Nigel (Clement), a cockatoo.